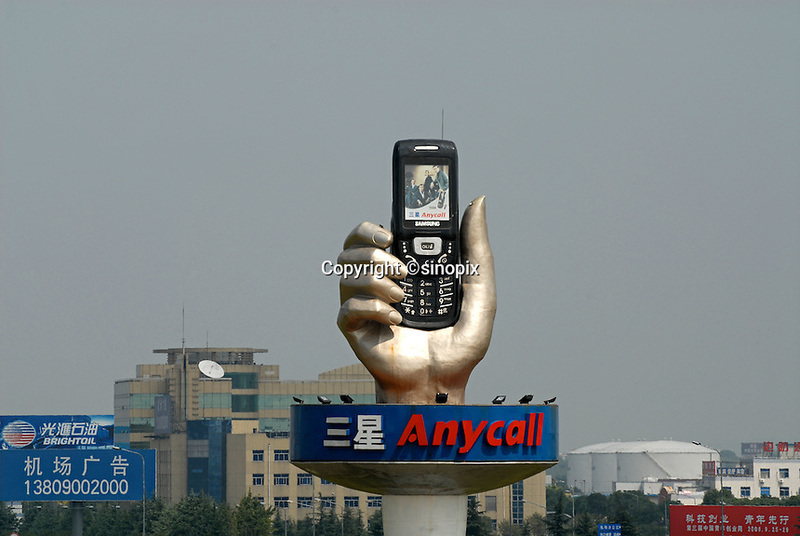 A large 3D Samsung Anycall mobile phone advert in Chengdu, China. Samsung is one of the sponsors of the 2008 Beijing Olympic Games. .